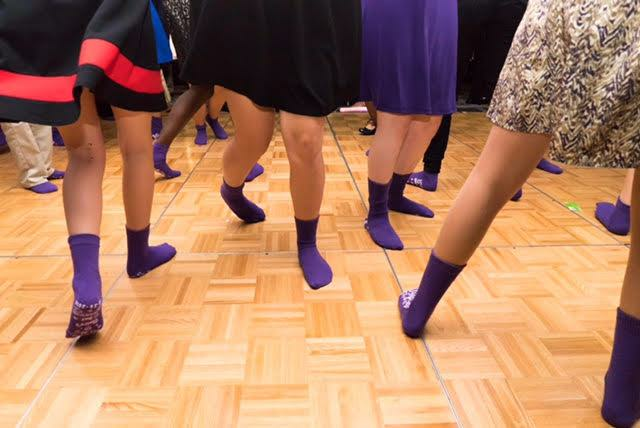 Select OneLime Green - Happy Feet - Good for your soleBlue - I Danced My Socks OffPurple - Celebrate Live, Love, Laugh.. When will I get my order? : Orders are processed in 1 week. Then refer to this map (Click here for map) to calculate the additional shipping time. Your favors ship from MI. 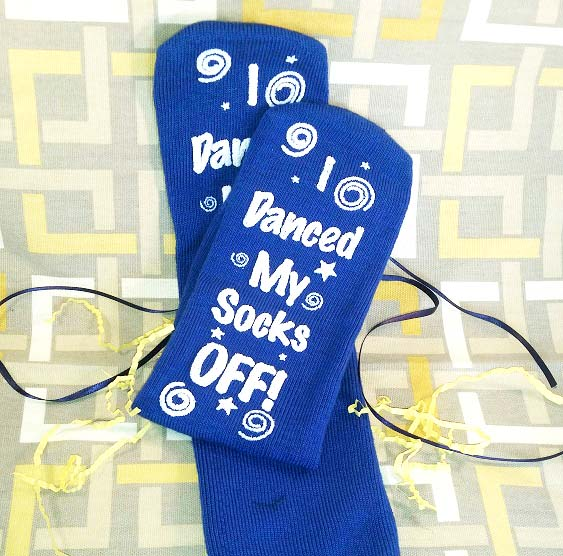 If you are looking for great favors, these non skid gripper socks rock! They come in two colors and two stock designs. 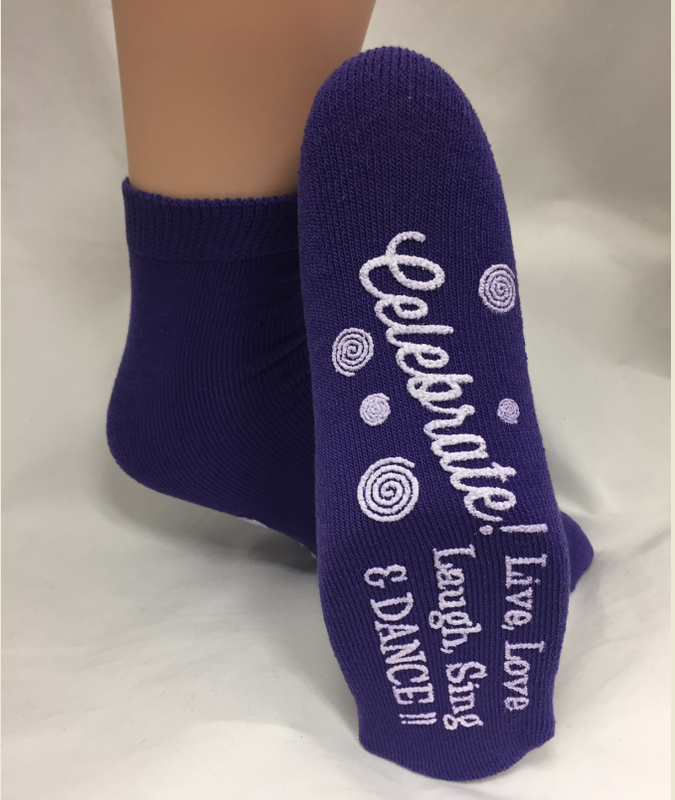 If you wish to order personalized socks, click here. 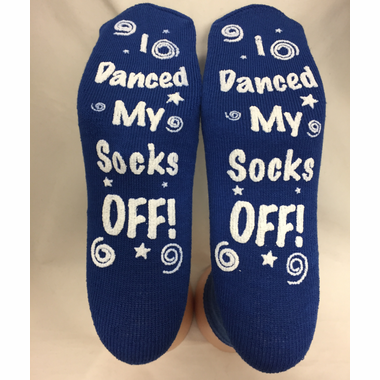 You may request a free sample of a grippy sock in the color you are interested in ordering. 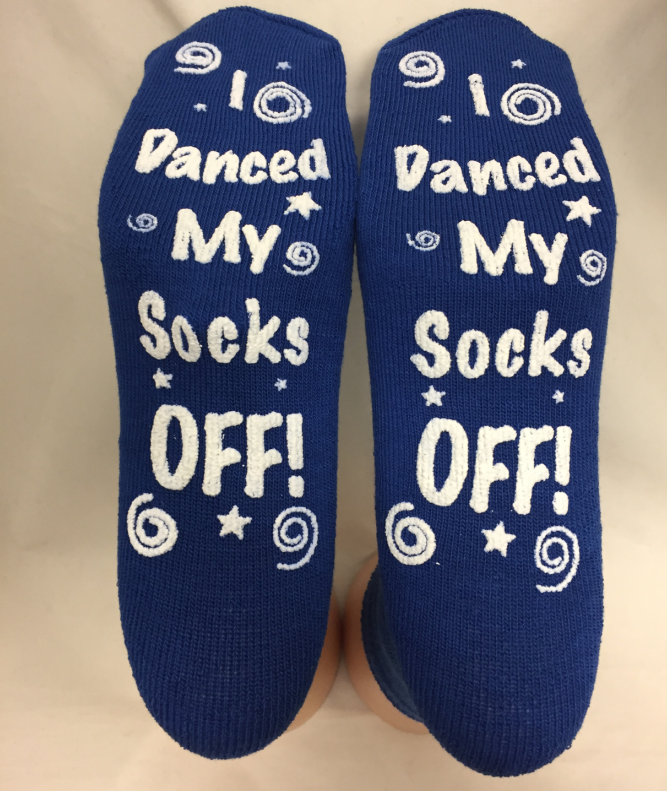 Please send us your contact information and write the words "Free Stock Grippy Sock Sample" in the Subject Line. Indicate your color choice, either blue or purple. 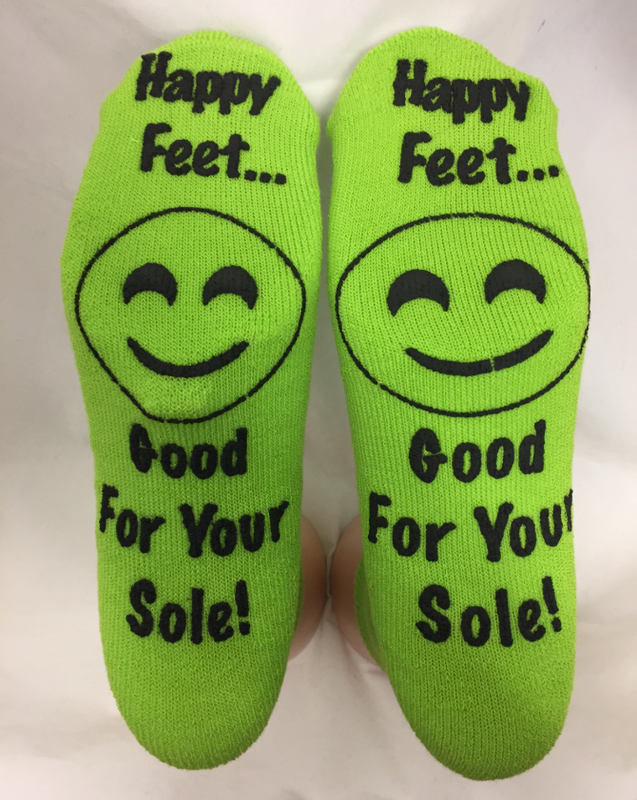 You will get a random sample of a socks with a different design, but you will see the quality of the sock an imprint. 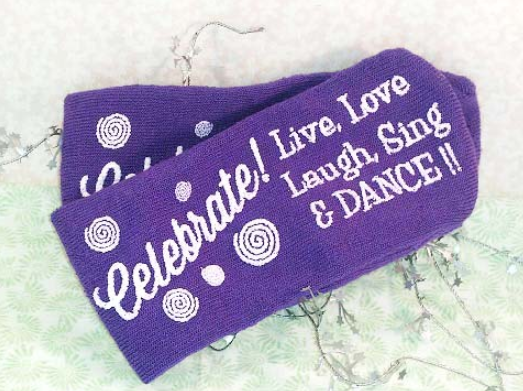 Click here to send us your request: info@cool-party-favors.com.